Dhaka: Two explosions ripped through a crowd on Saturday, killing six people and injuring around 50 others in Bangladesh's northeastern city of Sylhet as army commandos stormed a terrorist hideout, police said. The "powerful" blasts went off some 400 metres from the hideout, targeting police and hundreds of onlookers who were watching the commandos conduct an anti-terror operation at a five-storey apartment building, police said. The first blast happened around 7:00 pm yesterday. It targeted the huge crowd witnessing the operation code-named 'Twilight'. There was heavy police deployed in the area too. The second blast took place in front of the hideout an hour later. Security forces had surrounded the area and launched an operation to flush out the terrorists. Despite orders to stay indoors, more than 500 people had gathered at a residential area in Dakshin Surma in Sylhet's Shibbari area to watch the security operation against terrorists holed up in the 5-storey residential building. Several residents were trapped inside, but the security forces managed to evacuate most of the residents of the building. Counter-Terrorism and Transnational Crime (CTTC) chief Monirul Islam said they got information that JMB chief Musa along with some other JMB terrorists were in Sylhet, but it was not clear if they were the ones hiding in the building. Deputy Commissioner of Sylhet police Basudeb Banik told news agency AFP "six people including two police officers were killed" in the attack, which was claimed by ISIS via its propaganda agency Amaq. He said around 50 people were injured including about a dozen police and security officers. The military operation - named 'Operation Twilight' - was launched on Saturday, after a 48-hour siege by security forces failed to drive the terrorists out of the residential building. According to a news report, Bangladeshi officials said that army para-commandos led by a Major General launched the operation. They were assisted by Bangladesh Police's Special Weapons And Tactics (SWAT) unit, counter-terrorism unit and the elite anti-crime Rapid Action Battalion (RAB). "GOC (General Officer Commanding) of our Sylhet-based 17 Infantry Division, Major General Anwarul Momen is leading the 'Operation Twilight' there," a military spokesman told news agency PTI. TV channels were barred from live coverage of the operation. Among those injured in the attack was the head of intelligence of the elite Rapid Action Battalion (RAB), which is tasked with combating extremism in Bangladesh, Mr Banik said. 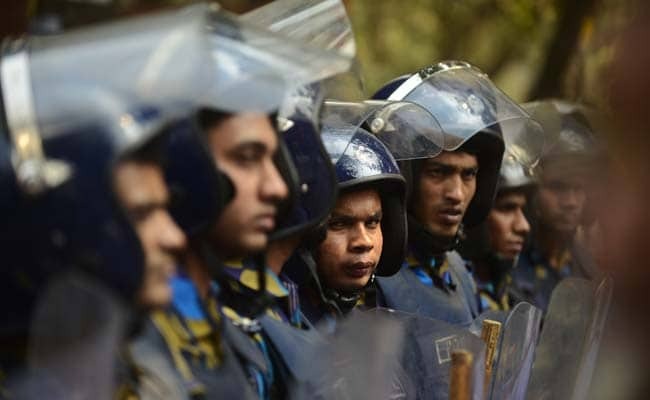 Police primarily suspect the blasts were the work of a new faction of the homegrown extremist group, Jamaat-ul Mujahideen Bangladesh (JMB), which has been blamed for a wave of terror attacks in recent years. Police could not confirm if it was a suicide attack but believe one of the attackers could be among the dead. ISIS has claimed via Amaq that there were "dozens killed and wounded among Bangladeshi forces as a result of the detonation of an explosive device", according to US-based monitoring agency SITE Intelligence Group. Mr Banik rejected the claim, saying ISIS does not have any presence in the country. The blasts occurred after an hours-long exchange of gunfire and a rescue operation during which commandos rescued "78 civilian hostages" from the hideout where several terrorists were holed up in a ground-floor apartment. "Our main task was to rescue the hostages, which we have done successfully. We were able to rescue all 78 people safely," army spokesman Brigadier General Fakhrul Ahsan told reporters. He said the terrorists were still inside the apartment building where they had barricaded themselves and laid explosive devices. "As a result the whole operation is being conducted carefully," he said. Before the military operation, the police used megaphones, telling the terrorists to surrender. The previous night, the authorities had cut-off the gas and electricity supply to the building. The Jamaat-ul-Mujahideen Bangladesh is the same group which was behind the July 1 terror attack on a Dhaka cafe in which 22 people, including 17 foreigners, were killed in 2016. The raid came after a series of suicide attacks on security camps by terrorists this month including one at a police checkpoint near the country's main international airport on Friday night. Two of the three attacks, including Friday's blast in which the suicide attacker was killed, were claimed by the ISIS. This month a police elite unit also stormed a building outside the port city of Chittagong, killing four members of JMB, including a woman. ISIS has claimed responsibility for a wave of killings since 2015 including a major attack on a Dhaka cafe last year in which 22 people, including 18 foreign hostages, were killed. The Bangladeshi government denies ISIS has any presence in the country, arguing instead that a new faction of JMB was behind the attacks.